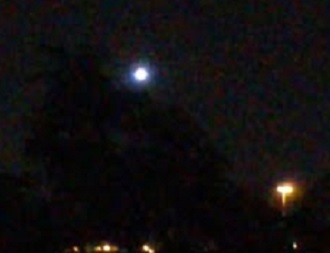 Here’s one new video of a bright object hovering above San Antonio, Texas. This happened on 7th December 2017. Witness report: I just happened to be watching a video I loaded yesterday with the UFO flying over the interstate when all of a sudden my lights then all my utilities cut off. this is at about 11 p.m. and I did pay my bill so I knew something was wrong went outside with my dog and low and behold guess what’s floating right there about the apartment complex a giant ball of light ran inside to get my camera came back out start a recording. I’m about to post plenty more video of this thing and two others that were around San Antonio doing god-knows-what but I have plenty of footage on the way.